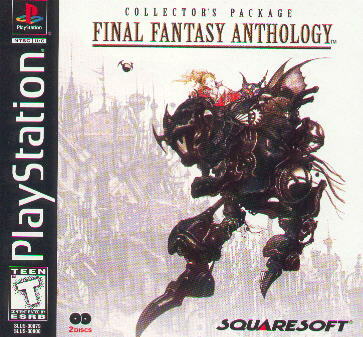 Final Fantasy Anthology has been released! Hey people, Dias here. Well, the site is dead. Most people can see that. It's not going too well. So, after discussing it, we have decided to kill this site. We will leave the current information up, but there will be NO additional updates. Thanks for everyone who has been to the site since the beginning. I dunno about Jerzey, but you can definately expect more Sites from me in the future. It's been fun, that's all, goodbye. JeRzEy's final words: Well all I can really say is it has been fun, and I hope all of you had fun too. If you ever have questions about the game feel free to e-mail me at JeRzEy730@aol.com. Thank you for attending our site. I'll probably follow Dias around if he makes another site, so you will probably see me again. Final Fantasy 5 Character List!